Learn about the medical use of hemp and cannabis among ancient Greek and Roman doctors. Perhaps the best-known and cited contribution of the Greeks to medicine is the Hippocratic oath, which doctors still adhere to today. The basic tenet of the oath is “first, do no harm,” although these words do not actually appear within the oath itself. The oath has the new practitioner swearing to numerous gods that they will uphold certain standards of practice. Interestingly enough, in ancient times, there was no official indoctrination into medicine, and anyone could generally call themselves a medicine man. It is believed, however, that the sacred oath was reserved for only a select few and was more of a religious doctrine than a medical one. How did these healers use what was available to them to help others? In 1977, Carl Sagan pontificated that cannabis might have been the first agricultural crop (leading to civilization as we know it), so it stands to reason that the Ancient Greeks would have been one of the first civilizations to use it medicinally, just as the people of India and China did. 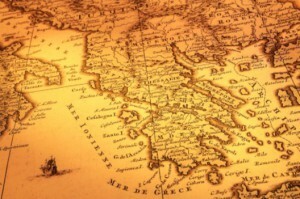 Cannabis has a long history of use, both medicinal and recreational, in Greece. 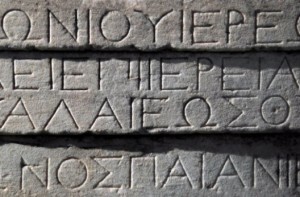 Circa 450-420 BCE, Herodotus – a historian and contemporary of Socrates – wrote of the use of hemp, stating that the ancient Scythians added the seeds to red-hot rocks to smoke in their bathhouses, which made them “shout for joy.” There is evidence that these same people used the seeds (referring to the flowering tops) as offerings to the tombs of royalty. Pedanius Dioscorides (circa 40—90 CE) penned the famous 5-volume medical text De Materia Medica sometime around 65-70 CE. This is believed to be the earliest account of the use of cannabis as a medical treatment in known existence. 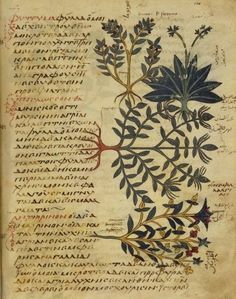 A botanist and a physician, in the text Dioscorides details the efficacy of around 600 plants used for medicine, along with approximately 900 recipes for using plants and herbs for ailments. From his writings, the botanist’s ideas for the medical use of cannabis and other plants were infused later in both the Roman and Byzantine empires and culture. Galen, although Greek by birth, was probably the most famous of all Roman physicians – so much so, that many historians refer to a historical separation of time prior to him as compared to after. Galen followed many of Dioscorides’ thoughts and beliefs about the use of cannabis as a medicine, and often prescribed it to his patients. The Greeks of ancient times also used cannabis for the healing of their animals and livestock according to scholars. – The Berlin Hippiatrica, a collection of horse remedies, calls for chopped cannabis leaves being put atop a poultice made of vinegar, pitch, mustard, wheat-chaff, roasted pine resin and wax prior to a wound being dressed. – In Cambridge Hippiatrica, cannabis is useful in treating tapeworms. – Both Cambridge Hippiatrica and Geoponica recommend using a salve made of cannabis ash, honey and old urine for the treatment of back pain and wounds in horses. The famous ancient Greek texts listed above are far from the standards of modern medicine. However, the healing properties of the plants within, including cannabis, have served as a basis to health practitioners for centuries. The recent resurgence of interest in natural remedies and treatments to illness and pains has led many medical experts to re-examine the medicinal applications of the cannabis plant, including hemp.